Friends and blog readers may remember that my grandmother was braving pancreatic cancer these last few months. She left us last Thursday. My heart is pretty torn up about this, even if my mind knows all the right things: that I’m so lucky to have had such a wonderful grandmother, that it is better she is no longer in pain, that she went the way she wanted (at home, in full control), that she’ll always be a part of me. My grandmother was never interested in doing things half-assed. Her most treasured recipes reflect this. 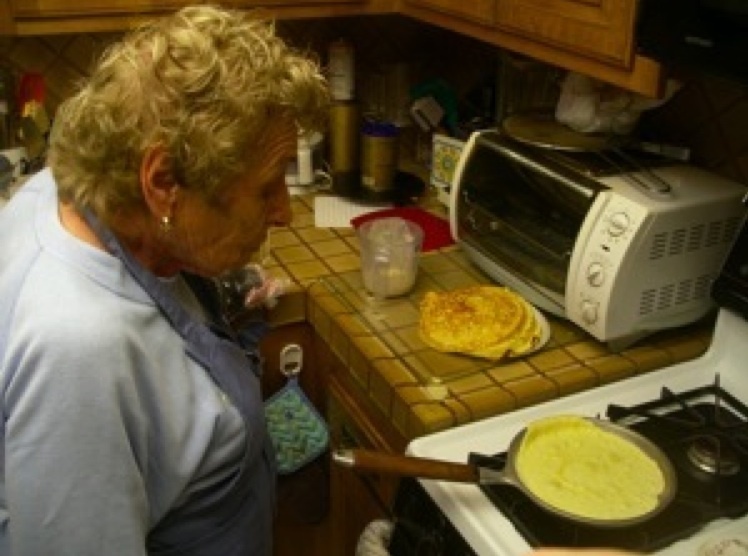 Her recipe for blintzes is a fine example, with detailed instructions that, she always said, most people wouldn’t bother to follow, but must be followed for the end result to be perfect. You have to press the cheese, for instance, through a wire sieve/strainer with holes larger than is found on those typically made these days. Otherwise the consistency is wrong. My grandmother believed in sharing recipes. I posted this one a long time ago (on the old blog), but I’m sharing it again to honor her memory. 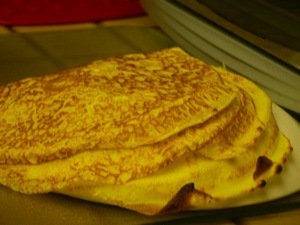 Here are very detailed instructions on how to make the world’s most delicious blintzes. 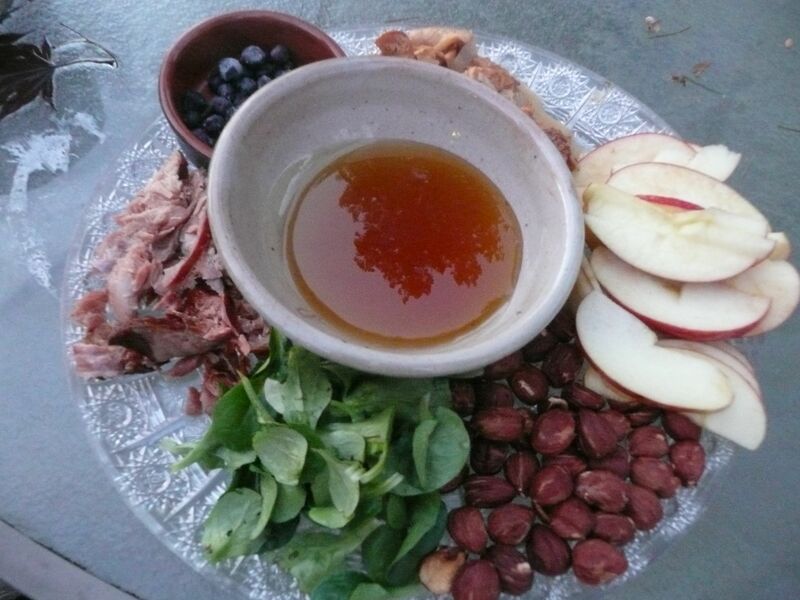 If you make and enjoy them, think of the remarkable woman who took the time to create this recipe, who loved feeding and nurturing others, who knew that living life means being engaged with it fully, learning as much as possible, and trying to do the right thing. 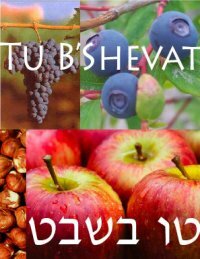 I’m spending the week with family and old friends as my own version of sitting shiva, or mourning. As I travel, her wide-holed strainer and her blintz pan are in my suitcase. 1 cup flour* (Note: I usually present gluten-free recipes. This recipe follows her original instructions, but soon I’ll be working on a gluten-free version. I’m guessing that a fine-ground rice flour, such as sweet rice flour, with a tablespoon of arrowroot powder will work. 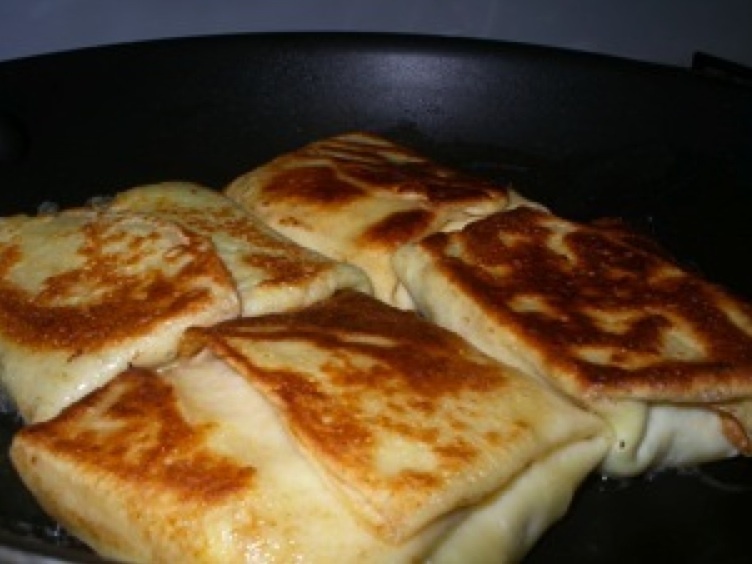 For low-carb/low-grain eaters, each blintz actually has very little flour). 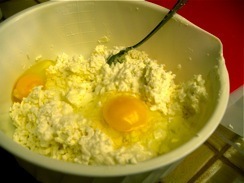 *UPDATE 6/7/11: substitute 2/3 cup tapioca flour and 1/3 cup fine white rice flour for a gluten-free version. It works beautifully! 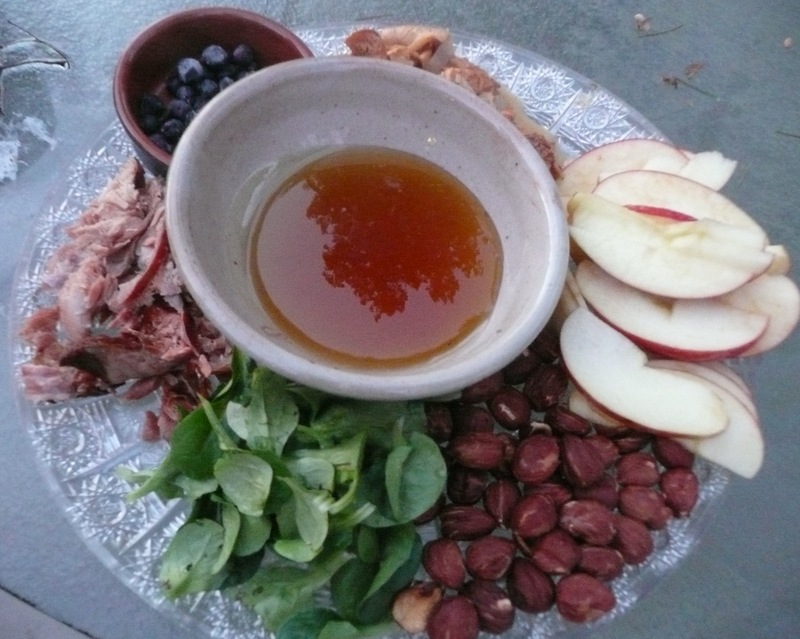 Make the batter for the leaves/wrappers in advance and let it sit overnight. 1. In the blender, combine dry wrapper/leaf ingredients and eggs. Add milk. Do not add melted butter yet; you don’t want it to sit overnight. You’ll add it in when you’ve taken the batter out of the fridge to use, and let it turn to room temperature. Cover batter and refrigerate. 2. For the filling, you want to find a way to fluff up the farmer cheese and cream cheese. My grandmother took a wire strainer with larger spaces between the wires, rather than the normal fine-mesh kind, and smushed first the farmer cheese and then the cream cheese through the strainer with a wooden spatula. It takes a while, but it actually makes the cheese the right consistency. Where you’ll find a strainer like that, I have no idea. I just work here. 3. Mix together the fluffed cheeses. Add the eggs, salt, and sugar and stir. 4. 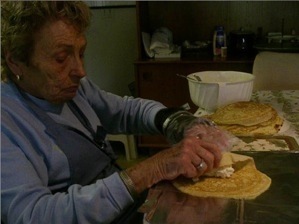 To make the leaves, heat a small, thick crepe pan – hers is about 6” wide. Melt butter into it and leave the flame at medium-low. Pour in some of your batter, swirl it around, and immediately pour the excess back into your container. Wait a moment, and run a butter knife around the edges, then turn out the leaf onto an overturned shallow bowl. Do not cook the other side. Repeat for all of your crepes. each of the four edges folded in. “Like pocketbooks,” my grandmother explained several times. I’m still not sure what that means. NOTE: If you want to freeze them, this is the ideal stage to do so. Wrap them flat (not layered) in aluminum foil, and freeze them until you’re ready to fry them. This recipe makes about 20 blintzes, so it’s enough to freeze if you’re not feeding a group. 6. When it comes time to fry them, defrost your packets if you froze them. Heat butter in a heavy frying pan until the butter is golden brown and tiny bubbles appear. Turn the heat down to low or medium-low and place the blintzes folded side down (because that side is thicker) in the pan for about five minutes. 7. When the bottoms are nice and brown, turn the blintzes over for a few more minutes. They should be browned on both sides. Work gently with a spatula, because they tear easily. When they’re done, gently place them on plates. 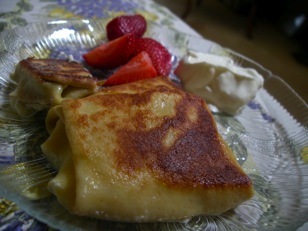 It’s traditional to serve blintzes with sour cream, and also with some fruit. “Clean Greens Farm and Market is happy to announce our first annual ‘Food Justice Starts with Us’ Dinner Event, taking place on Saturday, January 29, 2011. The goal of this event is to raise funds for Clean Greens’ food justice projects, as well as to raise awareness of the food access issues that our local communities face. For our first-ever fundraising event, we will be serving a meal cooked with local, seasonal foods by members of the Clean Greens community. Clean Greens welcomes Brahm Ahmadi, co-founder of People’s Grocery in Oakland, CA, who will be giving a keynote on Oakland’s food justice movement. Towards the end of dinner, a short film on Clean Greens’ ongoing food justice work will be premiered. After dinner, we will be having a dessert auction, and guests can enjoy their dessert while listening to a local jazz band perform. Founded in 2007, Clean Greens is a food justice organization that is owned and operated by residents of Seattle’s Central District. Our mission is to decrease the incidence of disease in our communities by increasing residents’ access to healthy, pesticide-free produce at affordable prices. 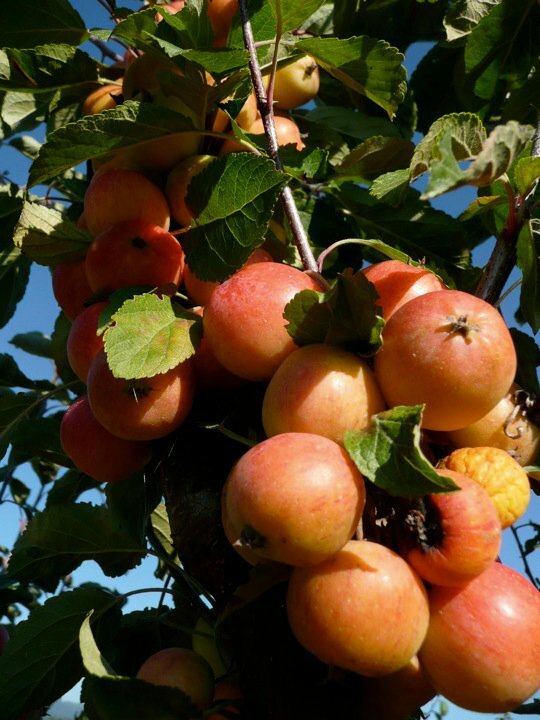 We are committed to delivering clean produce to all people in our communities, which we grow on our 22-acre farm in Duvall, Washington, and distribute via our Central District farm stand and CSA program.